Gerardo Francisco shows off the Aliw Award that Ballet Manila received for Best Dance Production – for his choreography, Ibong Adarna. Ballet Manila is ending 2017 on a high note, with Gerardo Francisco’s Ibong Adarna winning an Aliw Award as Best Dance Production. Ibong Adarna, a ballet interpretation of the popular Filipino tale about the titular mythical bird, had its world premiere last August and opened BM’s 22nd performance season. A disbelieving Francisco went onstage to accept the award on behalf of BM, along with fellow BM dancers Mark Sumaylo and Abigail Oliveiro and Project Ballet Futures managing director Sylvia Lichauco. “We were shocked as we all went on stage. I didn’t really expect it, but of course I am thankful and grateful to receive this recognition,” said Francisco. 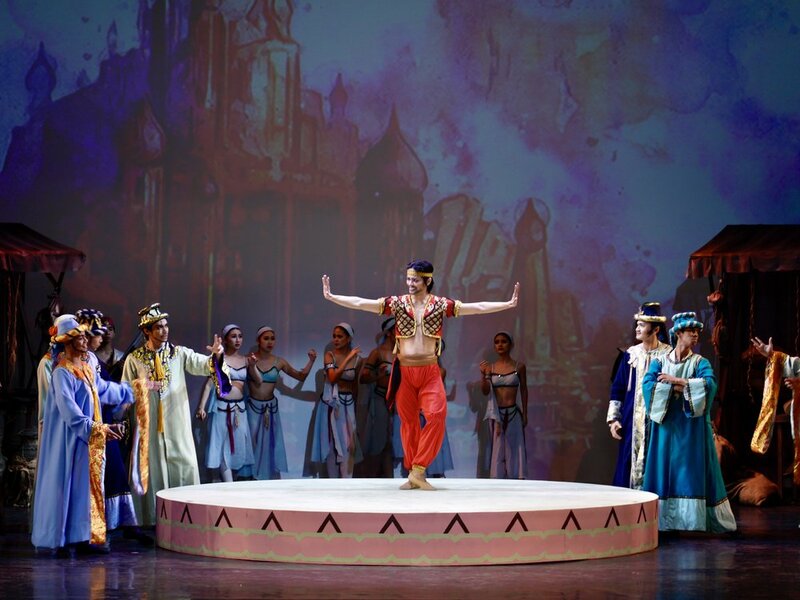 Ibong Adarna is his first full-length choreography. 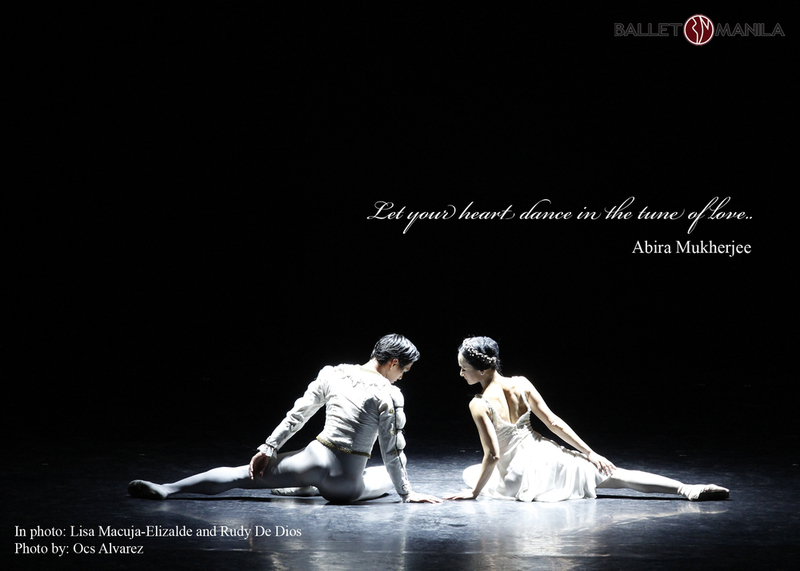 Oliveiro danced the lead in the production, sharing the role with principal dancer Katherine Barkman. Sumaylo meanwhile was Don Pedro, one of the princes. 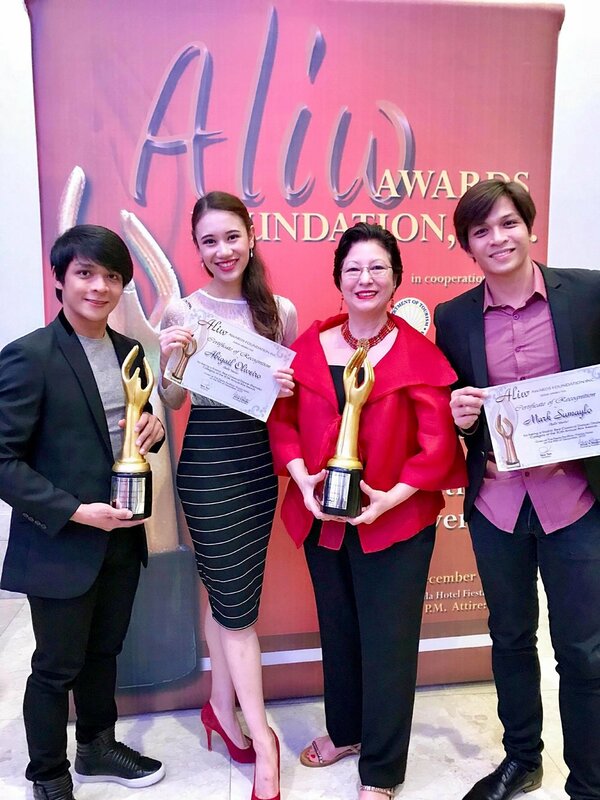 Both Oliveiro and Sumaylo also received certificates from the Aliw Awards Foundation as finalists in the Best Classical Dancer female and male categories. Meanwhile, principal dancer Rudy De Dios was named Best Classical Dancer (male), with Sylvia Lichauco receiving the award on his behalf. “Sobrang saya ko po. First full-length ko at nanalo kaagad (I’m overjoyed. It’s my first full-length and it already won an award),” enthused the choreographer who gave a brief thank-you speech at the Aliw Awards program held at the Manila Hotel on December 19. 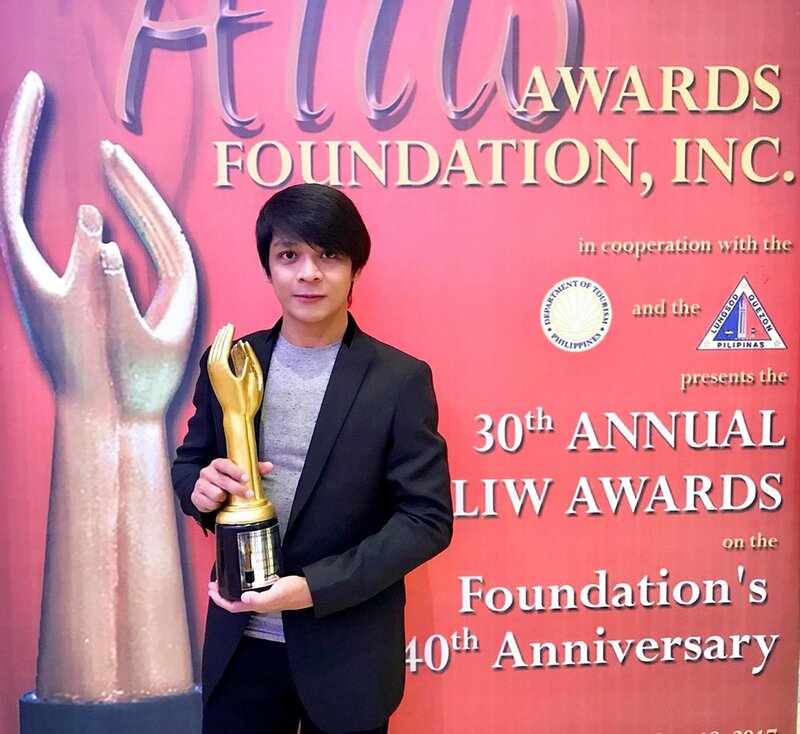 In a Facebook post the following day, Francisco thanked the Aliw Awards Foundation anew. He also thanked his Ballet Manila family, making special note of directors Lisa Macuja-Elizalde and Osias Barroso “for placing your trust and confidence in me,” and the dancers who made his creation a reality. Likewise, he expressed gratitude to the Ibong Adarna team: Diwa de Leon (music); Otto Hernandez (sets and costumes); Jose Aranda (lights); Angela Ureta (script); Sunshine Domine (stage management); and Chevy Salvador (production management). He also cited guests Gia Macuja-Atchison who was the Singing Adarna, and Bodjie Pascua who played the Ermitanyo. Francisco also remembered to thank his first teacher in his Iloilo hometown, Edwin Duero. 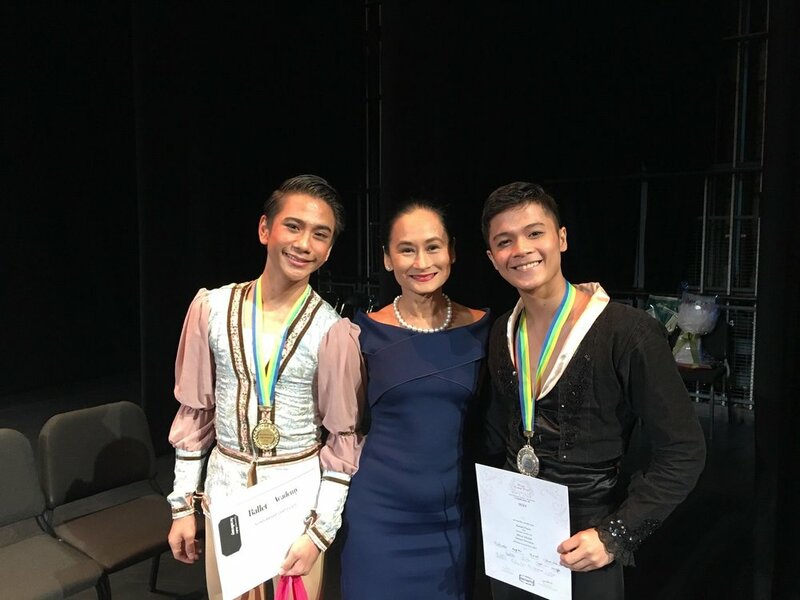 Francisco is joined by soloist Abigail Oliveiro, Project Ballet Futures managing director Sylvia Lichauco and soloist Mark Sumaylo after receiving the Aliw trophy. Oliveiro and Sumaylo also received certificates as Best Classical Dancer finalists. Writing from Japan where she is currently on a family vacation, BM artistic director Lisa Macuja-Elizalde recalled how Ibong Adarna felt so right from the very start. “We all knew it was going to be a winner from Day 1 when Gerardo started choreographing the first scene. Even without the music scoring completed, the movements were so dynamic, the energy pulsated way across the studio and there was a general excitement with everyone on the project!” Macuja-Elizalde said. Even before getting the Aliw Award, Ibong Adarna was already scheduled to go places, literally. 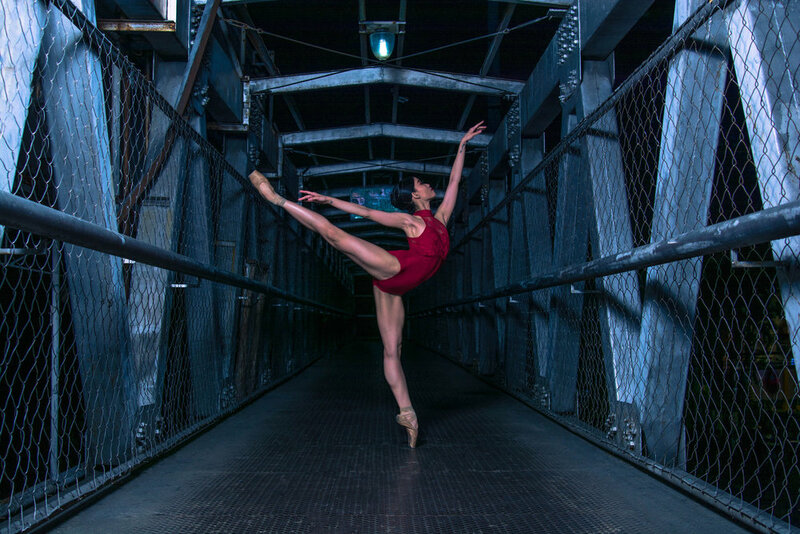 It will be taken on a four-city tour of Israel next year, with Ballet Manila being invited to participate in the long-running Karmiel International Dance Festival. Macuja-Elizalde heaped praises on Francisco and his vision for Ibong Adarna. Asked what he is thinking of doing next, Francisco replied that an Ibong Adarna sequel, another full-length Filipino ballet or a Filipino version of The Nutcracker might be possible. In congratulating Rudy De Dios, Macuja-Elizalde commented on the contrast between his real-life demeanor and his onstage persona. Sylvia Lichauco receives the award for Best Classical Dancer on behalf of principal dancer Rudy De Dios. As with Francisco, Macuja-Elizalde is supportive of De Dios’ dreams as a choreographer. She shared that De Dios will soon be making his first full-length ballet, Carmina Burana, which is being eyed as the opener of BM’s 23rd performance season in 2018. Macuja-Elizalde also commended Sumaylo and Oliveiro, particularly for being a very strong tandem.